Dutch clogs do strike me as totally uncomfortable-looking (at the very least)...and, if archaeologists can find ancient bone lesions in Dutch farmers' feet from way back in the 1800s, then there's even more reason why there's no way I'd wear Dutch clogs. Scandinavian clogs are very different - I used to wear them all the time in Norway. They are different because only the soles are carved from wood. The uppers are all leather. Result? Norwegian clogs are stylish and are great for wearing especially where you don't have to walk too far (ie shop work, office work, bar work etc) where clogs make standing for hours really comfortable. As far as the picture goes probably both, as they are sold as decorative souvenirs. Clogs were commonly worn in the Lancashire and possibly Yorkshire area during the 1930s. The practice was referenced in the Brian and Michael 70s hit " matchstalk men and matchstalk cats and dogs"
Bad. There was a study by academics in Canada about the effect they had on the feet of Dutch farmers, and it showed that wearers suffered injuries to the feed, including bone lesions - which are very rare in modern populations. I used to wear Norwegian clogs - but I have never tried Dutch clogs. They don't look very healthy or even comfortable. 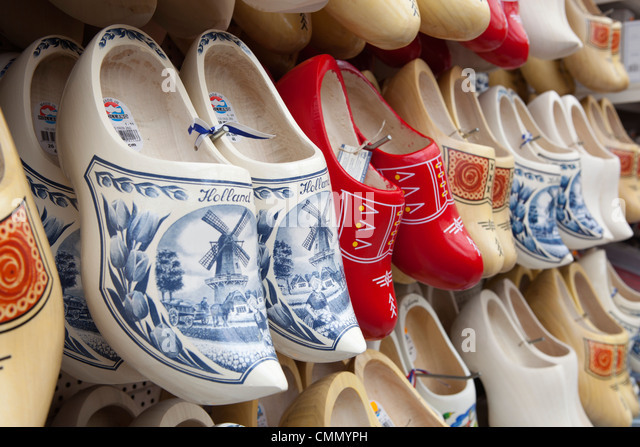 In fact Dutch clogs look downright crippling. Are they? Are Dutch clogs good or bad for your feet? Pretty - or pretty bad for your feet? Bad Behavior has blocked 2990 access attempts in the last 7 days.